Rain Media documentary, “Separated: Children at the Border“, was named a 2019 George Foster Peabody Award finalist on Tuesday. “Separated” was nominated in the News category. In “Separated: Children at the Border”, acclaimed producer Marcela Gaviria and correspondent Martin Smith tell the inside story of what happened to immigrant children separated from their parents at the U.S.-Mexico border. The July 2018 documentary examines immigration policy under both President Trump and President Obama, investigates the origins of “zero tolerance” — and reveals the journeys and voices of children who were separated from their parents. Since 1940, the prestigious George Foster Peabody Awards have honored excellence in broadcasting. The awards now recognize excellence in digital storytelling as well. The winners of this year’s Peabody Awards in the documentary category will be announced April 16, and the news category will be announced April 23. The 77th annual Peabody Awards ceremony will take place on May 18, 2019, in New York City. FRONTLINE, the acclaimed PBS investigative series, has been honored with a Gold Baton, the Alfred I. duPont-Columbia University Awards’ highest honor — a prestigious award for excellence in journalism that hasn’t been given for a decade. “This year FRONTLINE produced an exceptional lineup of outstanding programs that illustrated how well it both champions traditional documentaries while also forging ahead with cutting edge, adaptive content,” the duPont citation reads, pointing to eight FRONTLINE projects that exemplify the scope of the series’ work: six FRONTLINE documentaries on both domestic and international issues (Bitter Rivals: Iran and Saudi Arabia; Myanmar’s Killing Fields; Mosul, Putin’s Revenge; The Gang Crackdown; and Life on Parole, in collaboration with The New York Times); a two-part story from the new podcast series, The FRONTLINE Dispatch (Living With Murder, pts. 1 & 2, in collaboration with Transom.org); and an interactive digital documentary about climate change in collaboration with The GroundTruth Project, The Last Generation. The last Gold Baton given was awarded to WFAA-TV Dallas as part of the 2009 duPont-Columbia Awards. Prior to this year’s Gold Baton, FRONTLINE had earned two Gold Batons tied to its 1988-89 and 1996-1997 seasons, and one for its post-Sept. 11, 2001 documentaries on terrorism and counter-terrorism. This year’s is the first Gold Baton to honor a body of work that includes a podcast and an interactive digital documentary. Confronting ISIS, Rain Media’s October 2016 investigation of the complexities and challenges of the U.S.-led fight against the terror group, won the “Documentary Script — Current Events” category at the 2018 Writers Guild Awards on February 11th, 2018. Rain Media was a winner at the 35th Annual News and Documentary Emmy Awards with The Retirement Gamble (2013), an investigation into whether your IRA or 401(k) accounts will ensure a safe retirement. The film won the Emmy Award for Outstanding Business and Economic Reporting – Long Form. The Retirement Gamble was produced by Rain Media’s Marcela Gaviria and featured Martin Smith as correspondent. You can stream the film for free any time on FRONTLINE’s website. Congratulations to all of the winners! Rain Media is very proud to announce that founder Martin Smith is the recipient of the 2014 John Chancellor Award for Excellence in Journalism, presented by the Columbia University Graduate School of Journalism. 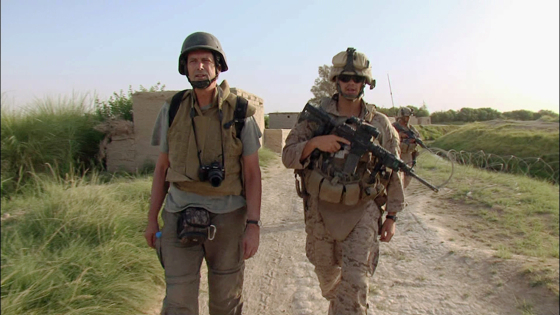 Smith was selected in recognition of his courageous and insightful reporting on some of the most complex stories of our time: everything from revolutions in Central America and the fall of communism in Russia, to the rise of Al Qaeda and the wars in Iraq and Afghanistan. The John Chancellor Award is presented each year to a reporter for his or her cumulative accomplishments. The prize honors the legacy of pioneering television correspondent and longtime NBC News anchor John Chancellor. Selected by a nine-member committee, Smith receives the 2014 award with a $25,000 cash prize. The award will be presented at a dinner ceremony at Columbia University’s Low Library in New York on Wednesday, Nov. 12, 2014. “Whether presciently reporting on Al Qaeda and Osama bin Laden both before and immediately after 9/11, trying to understand the collapse of a new economy in Dot-Con, or laying out in delicious detail The Madoff Affair, Marty Smith has shown the kind of range and reportorial chops that any of us would envy,” said David Fanning, FRONTLINE executive producer. Click here to read Martin’s full biography. 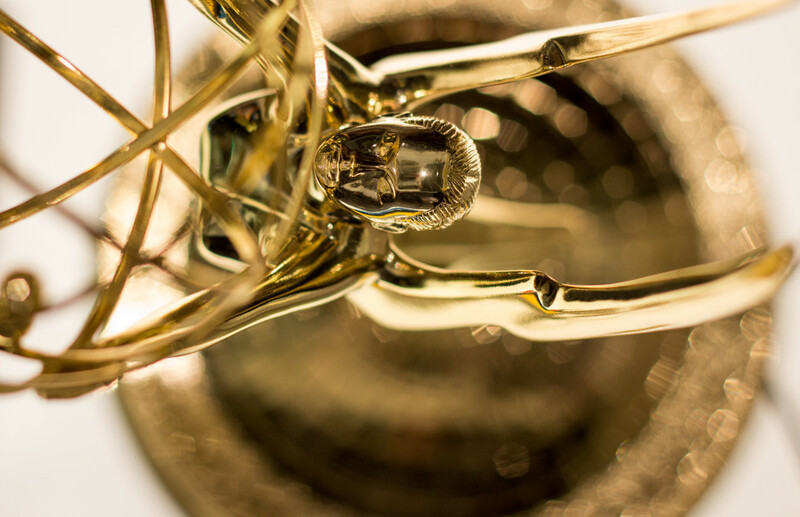 Rain Media has been nominated for three News & Documentary Emmy Awards this year. The winners will be announced announced on Tuesday, September 30, 2014, at a ceremony at Frederick P. Rose Hall in the Time Warner Center in New York City. Rain Media’s Egypt in Crisis was nominated in the Outstanding Coverage a Current News Story—Long Form category. The film was produced by Martin Smith and Marcela Gaviria, with GlobalPost‘s Charles Sennott as correspondent. Meanwhile, two Rain Media films were nominated in the Outstanding Business and Economic Reporting—Long Form category. The Retirement Gamble, produced by Marcela Gaviria with Martin Smith as correspondent received the first nomination; while The Untouchables, produced by Martin Smith and co-produced by Linda Hirsch and Ben Gold received the second nomination. Rain Media was recently nominated for two Gerald Loeb Awards for Distinguished Business and Financial Journalism. The Untouchables, which explores the lack of Wall Street prosecutions in the wake of the financial crisis, is a Video/Audio Category Finalist. Federal Judge Jed S. Rakoff, who handles Wall Street criminal cases out of his seat in the Southern District of New York, recently cited The Untouchables in his New York Review of Books essay “The Financial Crisis: Why Have No High-Level Executives Been Prosecuted,” in which he claims that Lanny Breuer, the former leader of the Department of Justice’s Criminal Division, “totally misstates the law” during his interview on the program. Both films can be streamed for free on the PBS FRONTLINE website. In part one, a two-hour film premiering Tuesday, May 13 at a special time (9 p.m.), FRONTLINE went inside Washington and the National Security Agency, piecing together the secret history of the unprecedented surveillance program that began in the wake of September 11 and continues today – even after the revelations of its existence by Edward Snowden. Now, in part two, premiering Tuesday, May 20 at 10 p.m., veteran FRONTLINE filmmaker Martin Smith (The Untouchables, To Catch a Trader) continues the story, exploring the secret relationship between Silicon Valley and the National Security Agency, and investigating how the government and tech companies have worked together to gather and warehouse your data. Smith investigates the ways Silicon Valley has played a role in the NSA’s dragnet, and blurred the boundaries of privacy for us all. The $8 billion fortune amassed by the hedge fund titan Steven A. Cohen was stunning: a 35,000-square-foot mansion on Connecticut’s “Gold Coast”; a $62 million beach house in the Hamptons; a $115 million duplex in New York City, furnished with some of the world’s most valuable art. Was Cohen’s firm, SAC Capital, simply smarter than the other players on Wall Street? Or, as the U.S. Justice Department began to suspect, was there another explanation for how SAC managed to beat the stock market and bring in sky-high returns for Cohen and his investors year after year? From the team behind FRONTLINE’s The Untouchables and Money, Power and Wall Street comes To Catch a Trader (premiering Tuesday, Jan. 7, on PBS; check local listings), the suspenseful and compelling story of the unprecedented government investigation that led to the largest insider trading case in U.S. history. Drawing on exclusively obtained video of Cohen, FBI wiretaps of other hedge fund traders, and interviews with both Wall Street and Justice Department insiders (including U.S. Attorney Preet Bharara, the “sheriff of Wall Street”), To Catch a Trader traces the rise of Cohen’s empire and goes inside the government’s ongoing, seven-year crackdown on insider trading in the hedge fund industry. “Our investigation found that in 2006, for the first time, the FBI started to go after hedge funds the same way they went after the mob,” says FRONTLINE correspondent Martin Smith, who, along with director and producer Nick Verbitsky, spent six months digging into the government’s cases against traders at SAC Capital and other hedge funds. “They began investigating Cohen and his peers in the same fashion—wiretapping, flipping informants, basically using these methods to target white-collar criminals for the first time,” Smith says. As FRONTLINE reports, since prosecutors first set their sights on the hedge fund industry, the FBI’s crackdown has uncovered institutional, widespread malfeasance. To date, the government has convicted 76 people of securities fraud and conspiracy. In November 2013, SAC Capital agreed to plead guilty to what prosecutors called “insider trading that was substantial, pervasive, and on a scale without precedent in the history of hedge funds.” Under an agreement still pending a judge’s approval, the firm will cease to operate as a hedge fund and will pay a $1.8 billion penalty. Steven Cohen has not been charged with insider trading; he instead faces civil charges brought by the Securities and Exchange Commission for allegedly failing to supervise his employees and prevent misconduct. U.S. Attorney Bharara tells FRONTLINE that the government’s investigation into insider trading at hedge funds will continue. Unfolding with the urgency of a crime novel, To Catch a Trader is a must-watch primer for what happens next.